In the world of politics, we often look at political candidates and compare them to other politicians of the past. Of course, one likes to be compared to someone who has been successful, respected and caring of their electorate. Personally, I have always been an admirer of the former Prime Minster of Britain, Margaret Thatcher. She was once described as an “uncompromising politician in a meticulously ladylike package.” A Soviet journalist once dubbed her the “Iron Lady”, a nickname that became associated with her uncompromising politics and leadership style. 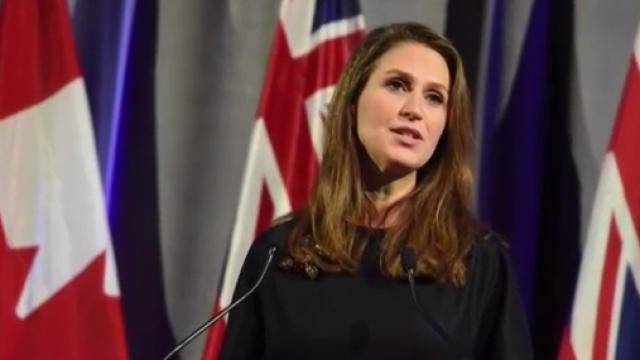 We have yet a complete picture of Caroline Mulroney and her political views, nonetheless, I am prepared to say that her future role as Leader of the Ontario Progressive Conservative Party and, subsequently, as Premier of Ontario, will echo the “style” and “uncompromising politics” of the former Prime Minister of the United Kingdom. She was, indeed, a controversial figure, but lauded as one of the greatest, most influential and widest-known politicians in British history. Yes, Caroline Mulroney has “shades” of Margaret Thatcher. Caroline Mulroney is the sole daughter of Canada’s former Prime Minister, the Right Honourable Brian Mulroney. She is 43 years old and married to Andrew Lapham, an American. They have four children and live in Toronto. She has an undergraduate degree from Harvard University and a law degree from New York University. She is a trained lawyer and has worked in the financial sector over the years. She is also fluent in both the English and French languages. She is co-founder of “The Shoebox Project,” where shoeboxes are filled with personal items to be given to women in shelters. Before I expand on Ms. Mulroney’s aspirations to become Leader of the Party and Premier of Ontario, I must state that congratulatory messages received are often outweighed by the less friendly remarks of those in “opposition,” as noted below. It is rather unfortunate that Liberals see Caroline Mulroney as an attempt to ride her father’s coattails. What is even more unfortunate is the fact that many of the negative comments are from the members of the Federal Liberal Party. And I quote some of the “supposedly” high profile Liberals who have already commenced vilifying Ms. Mulroney. “Clear favouritism…Have we really sunk to such a shallow level in our politics?” Let me remind the “Honourable” Member that it is Caroline’s father, former Prime Minister Mulroney, who has so kindly given his time to ensure the survival of NAFTA. If credit is to be given to someone, in this regard, it is certainly to Brian Mulroney and not Chrystia Freeland! It is somewhat ironic that Minister Freeland “favoured” Brian Mulroney over others to secure the renegotiation of NAFTA. And finally, from our very own Prime Minister, Justin Trudeau…”This sort of thing just shouldn’t be happening anymore! Are we really going to put someone in office simply because we recognize their last name? !” Justin Trudeau stated, shaking his head resignedly. Personally, I can only say “hypocrisy” at its best! I can only imagine what has been said by the provincial Liberal Party members untoward Caroline Mulroney. It is rather clear that “petty politics’ is still alive and well in some of the Parties. Now let us move on to matters of substance. Unfortunately, “socialism” has been the “flavour of the day” for too long in Ontario. The present Premier, Kathleen Wynne, has spent too much time and money turning Ontario into a “socialist state.” It has been detrimental to business and more so to Ontario as a whole. (I was truly tempted to spell “whole”…HOLE)! It is not my intent to go into a deep analysis of the failures of the Liberal Party of Ontario. Suffice to say, Ontario is very much a “nanny state” under Kathleen Wynne. On the international scene, specifically, the United States of America, the focus will be on NAFTA. It is without doubt that Caroline Mulroney is equally concerned with the success of NAFTA as her father is at this time. Understandably, NAFTA is important to both integrated economies. I am convinced that Caroline Mulroney has all the qualifications needed to be the next Leader of the Ontario PC Party and Premier of Ontario. Like all candidates, she can bask in the fact that the Ontario electorate wants change. It is time for a new Party and government. Nonetheless, be vigilant, for in the world of politics one minute, one word can change the course of history in either direction. Let the “political” games begin!